Continued from the previous section. Click HERE to go back. On the far side of Middle Weald lies a very large dominion and the old clan lands of centaurkind. The past realm responsible for establishing towns like Shog (see County of Ashbury) relied on monsters and humanoid tribes inhabiting the territories west of the Snake River to help capture this region. As a result, centaur clans were reduced to struggling enclaves or fled eastward into heavier forests. The birth of Foresthome, a clan-friendly realm, sparked a “reconquest.” An immense effort was made to expel the monsters and secure these western lands. Nearly all of the forests that once covered the region had been felled and replaced with swaying grasslands. It was a catastrophe for woodland beings, but centaurs accommodated themselves of the open plains so well that they became experts in cavalry tactics, something that the sylvan kingdom had lacked thus far. There were many attacks and counter-attacks from both sides, their borders changing substantially over the years. Scars remain with old battle sites like Crimson Hooves, Westford Banner, and Death Riders, bloody clashes heavy with magic cast in anger. They are still haunted today, and spirits of the dead can often be seen there, forever fighting those battles. Bones and implements of war survive in the grass, petrified by some unknown curse. With a regular supply of troops from the County of Wessith, the fate of the hordes was sealed and they were finally beaten back across the river. Negotiation with centaurkind, the dominating clans in the area, demanded that the entire Haggleby River basin be preserved as a single entity. A mere county among a dozen others wouldn’t do. A war leader who’d emerged from the decades of campaigning became the best candidate, one that centaurs and humans could accept. 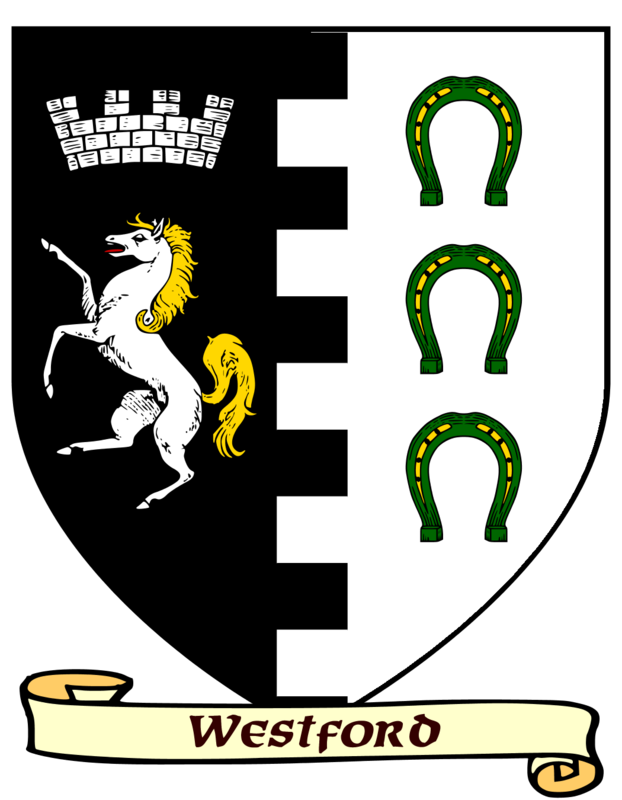 Thus was born the Duchy of Westford. The duke and his heirs proved eminently capable of holding the new dominion against further incursions, forming a buffer state protecting the counties bordering Lake Llyn. 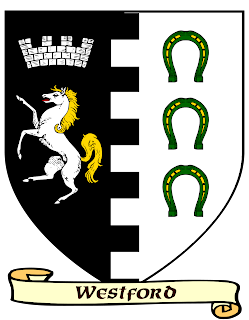 In time, Westford was elevated to the status of a Duchy Palatinate, meaning that its duke could name his own barons and entrust part of his own lands to them. This is otherwise a privilege exclusive to the Greenwood monarchy. 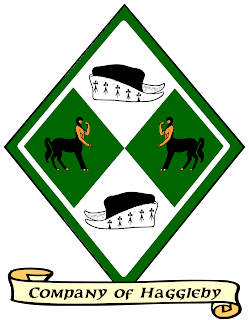 It is how the neighboring Barony of Shielldon was created—implying this barony is a direct vassal of the duke. There is talk about creating another, south of the Nuzzleworth River, one whose purpose is to focus on problematic relations with wood imps inhabiting the Ruffletuft Woods (see Mersey & Weil for details). The town of Haggleby became the center of the duchy and a magnet attracting new population from the east. At first, Alphatian settlers arrived from other Foresthome counties, followed by waves of immigrants from the Yannivey Islands. Alphatian newcomers spread out, founding hamlets and farmsteads to develop the vast dominion. The Yannifey joined instead the duke’s infantry or found work as laborers in Haggleby and other villages. They were never quite trusted by the settlers, especially when some banded together, forming transient communities of circus people, beast handlers, soothsayers. . . and thieves. Wherever their small caravans passed, something was bound to vanish from someone’s home, including unattended children. Nothing was ever proven and the caravans go on to this day, roaming the land from Weilat and Tirenios to Everton, 600 miles away in the Ogresfell. Clans exist but they remain solely a matter of kinship. Centaurs no longer have exclusive clan territories. They mix with the local population and yet, from a political point of view, they answer to Haggleby’s Clan House first before answering to the duke. This helps them retain their autonomy and a sense of unity that would have otherwise vanished when their forests died out. The first thing one notices in Haggleby is that all facilities are designed to accommodate humans, demi-humans, and centaurkind. Contrary to popular belief, equine latrines are readily available and the streets are far cleaner than one might assume. The smell of horse and stable remains exactly that, for chevalls and centaurs do not bear those scents. These four-legged citizens are referred to as Greater Equines or centaurkind, as opposed to horses which are common animals. The latter are to Greater Equines what chimps are to humans. Common horses are nonetheless treated royally in these parts—woe be he who incurs the wrath of chevalls (Creature Catalog) for mistreating a mount. It is an act of villainy and a breach of local laws. Although officially there are no social castes in Westford, invisible barriers exist nonetheless. At the top of the social hierarchy stand spellcasters, elves, and centaurkind, and above them, aristocrats and clan leaders. An unspoken pecking order ranks the remainder, with Foresthome natives coming first, followed in decreasing order by other mainland Alphatians, Alphatian levantines (Bellissarians), Alphatian islanders, other mainland ethnics, foreigners, and last, the Yannifey. Wizards visiting from foreign (off-shore) kingdoms would fit at the bottom of the first category except for Thyatians and their allies who just don’t fit—period. Although Alphatians always seem to get the better of everything wherever they settle, especially spellcasters, centaurkind managed to hold on well to their place in society, owning businesses, holding commissions among the duke’s cavalry, and handling law-enforcement. 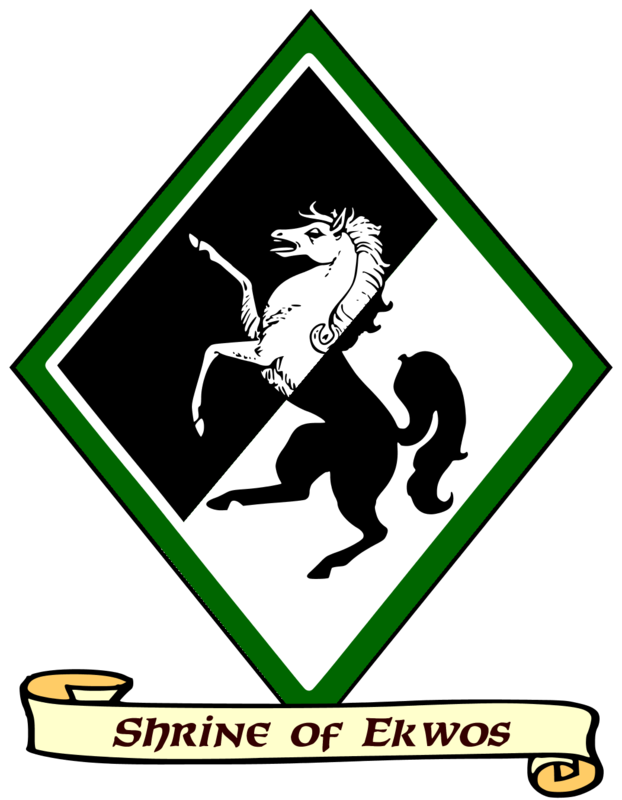 There are three main clans of mixed centaur and chevall kins that predate the duchy. Originally they hailed from lands roughly north, east, and west of Haggleby. Druids cater to the woods of Middle Weald, treants live in the sylvan rises overlapping the eastern border, and wood nymphs occupy the forest north and west of Twiggbottom. There are many urban elves in Westford. They came in significant numbers from the Marches of Ogresfell after the Greenwood monarchy was able to claim this territory as a marquisate. Early on, the League of Eight made a foray into the duchy, but was quickly rebuffed. Out of their element, these merchants backed off. 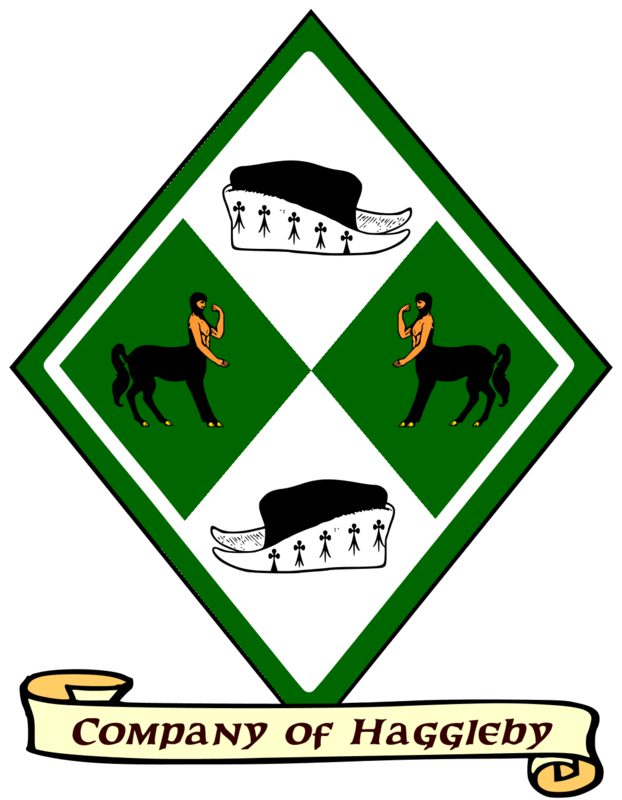 Instead, a group of centaurs and entrepreneurial Alphatians obtained a charter from the duke and set up a trade guild of their own, known as the Company of Haggleby. Its goal is to develop land-based or riverine trade with Greenwood and the main towns in the Kingdom of Ar and Frisland. For this purpose, they’ve acquired a small fleet of longships to sail the Snake River, Shiell Lake, the Fris River and the northern coast of Ar. They maintain an important presence in the City of Shiell in Frisland, and as far away as Gowola and Mage Landings. Longships can easily sail up to Haggleby from the Snake River. The Buckleshorn River isn’t suitable for navigation, being filled with sharp rocks. The Nuzzleworth is a small waterway, suitable for rowboats. Relations between the two guilds can be described as vitriolic. A particular philosophy drives the culture and psychology of Westford’s subjects. It centers around the cult of Ekwos, a facet of Zirchev—the immortal patron of woodland beings. The cult predates the duchy’s creation and flourished well before monstrous races invaded the domain of greater equines. It is now the dominant faith in both Westford and the Ogresfell. Ekwos’s avatar appears as a tall white horse during the night or a black one during the day. At the heart of the cult is the belief that horse spirits come to take those who perish to the magical realm of Ekwos. Depending on the nature of the departed, they either become a horse spirit or a spirit-rider. Kindred spirits bond and forever roam the hills and valleys of Ekwos’s realm. Another tenet of the cult infers that one day these spirits will return to the world of the living and reclaim lands lost in ancient times. This includes a huge portion of Imperial Territories known as the Withering Grasslands. It is also believed that on occasion a horse spirit and its rider may come to help faithfuls in distress, especially those on a quest to destroy the evil that claimed their ancestral grounds. There have been portents heralding the return of better times. Pegasi were once very common among the realm of greater equines. Most fled to the Kerothar Mountains when the monsters came. Since those times, some have begun returning to Westford. It is widely seen as a good omen. Unicorns have been much slower to return, most remaining in the deeper confines of the Great Clans’ forest. Pegasi and unicorns are seen as companions of Ekwos and must never be molested in any way—upon pain of death. Although very rare, pegataurs (Creature Catalog) do exist in Westford, as protectors of the pegasi. Some may seek employment with the duke as scouts, at least for a time. Pegataurs are seen as blessed beings, inheritors of pegasus and elven spirits. Centaur: AC5, HD 4, MV 180’ (60’), AT 2 hooves/1 weapon, Dmg 1d6/1d6/by weapon, Save F4, ML 8, Int 10, AL N. Special defense: nil. Special attacks: charge with a lance (20 yards outdoors or 20’ indoors + double damage). Spellcasters may reach eighth level druidical or wokani spellcasting ability. War Centaurs: AC0 (ironwood barding), HD 8, MV 150’ (50’), AT 2 hooves/1 weapon, Dmg 1d6/1d6/by weapon +3, Save F8, ML 11, Int 10, AL N. Special defense: nil. Special attacks: charge; shock—if a charge attack succeeds against a smaller opponent, the victim is knocked to the ground and loses initiative on the following round (no save); any other war centaur charging over a prone victim during the same round automatically inflicts trample damage—2d6 damage. War centaurs either use lances or two-handed swords, no shields or bows, and are much larger than common centaurs. War centaurs are enormously muscled, massive creatures reminiscent of Shire draft horses, about 21 hands (7’) at the base of the centaur’s human torso. They are equivalent to human knights, as regards their place in society. Most are Knights of the Shrine (of Ekwos). The best of them are the closest thing centaurs have to paladins—at least from the point of view of a devout follower of Ekwos. The differences are: replace detect evil with detect goblinoid & giantkind (orcs, hobgoblins, ogres, trolls, etc), spells are druidical, replace Turn Undead with a +2 bonus to hit goblinoid/giantkind. Pegataur: AC 5 to –1, HD 5*-14***, MV 180’ (60’)/360’ (120’), AT 2 hooves /1 weapon or spell, Dmg 1d6/1d6/by weapon or spell, Save E1-10 or F5-14, ML8, Int 10, AL N. Special defenses: spells; armor (for every point of AC bonus below 5, decrease flight speed –15’ (360’, 345’, 330’, etc. to a min. 270’). Special attacks: cast spells as elves four levels lower than their HD. Typical equipment may include bows and arrows, swords, but no shields. Pegataurs look like winged centaur, actually part elven and pegasus. Chevall*: AC2, HD 7*, MV 270’ (90’), AT 2 hoves/1 bite, Dmg 1d6/1d6/1d8, Save F7, ML 11 (9), Int 12, AL N. Special defenses: hit only with silver or magical weapon. Special attacks: as per centaurs. A chevall in its natural form looks like a horse, however, it may shapechange at will into a centaur. It may summon 1d4 war horses arriving in 1d4 rounds. In centaur form, use common centaur statistics, except the chevall retains its 7 HD and ML rating of 9. Chevalls of Westford sometimes use coltpixies (Creature Catalog) as scouts or familiars. The latter are more Neutral than the companions of fairy folk. Chevalls are rare beings and do not mix with non-equines without a compelling reason. Spellcasting chevalls cast spells as C7 priests of Ekwos. Chevall-priests may invoke Ekwos for help, no more than once per expedition. The situation must involve a fight against hatred denizens of the Imperial Territories. Odds of success are calculated as follows: [total HD of the monsters party] divided by [total HD of the priest’s party] times [1%]. The number of spirit riders received is commensurate with odds of success: 1% = 1 (at least 1 if successful), 100% = 100 spirits (but never more than the total number of monster HD involved). Spirit Rider*: AC2, HD 6****, MV 270’ (90’) on the ground or flying, AT 2 hooves/1 weapon, Dmg 1d6/1d6/1d8 + paralysis, Save F6, ML 12, Int 12, AL N. Special defenses: hit only with magical +1 or better weapon. Special attacks: charge; dimension door (three times per battle); victim must save vs. paralysis when hit by the spirit rider’s weapon; immune to plant-based attacks, poison, fire- or cold-based attacks, sleep, charm, hold, or any mind-affecting spells. May be Turned by hostile clerics as specters. If successfully summoned, spirit riders never stay beyond the duration of a battle. Spirit riders use various weapons (1d6): 1-2 Lance, 3-4 Sword, 5-6 Bow & arrows (no limit to the number of arrows). Mount and rider are considered a single creature that vanishes when defeated.